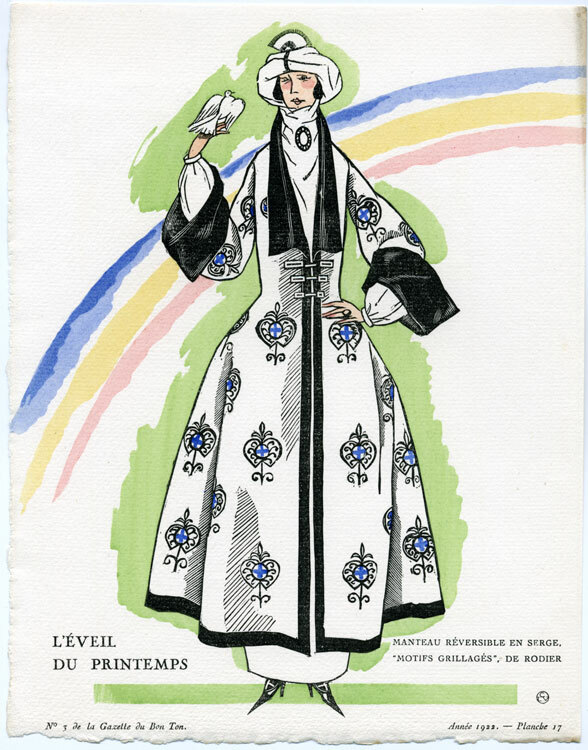 Marketed toward the Paris elite, Gazette du Bon Ton was arguably the most influential magazine of its time, virtually defining many of the new trends in fashion during the dynamic period from 1912 to 1925. 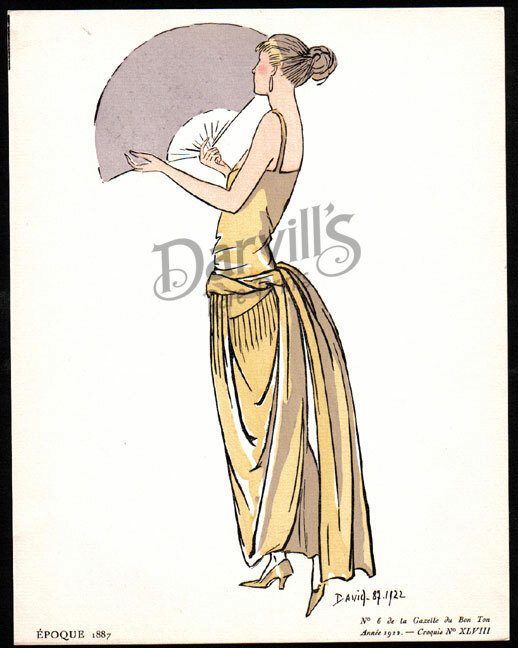 The beautiful color plates anticipate the popular deco movement of the mid 1920's that ushered in a decade of style and elegance which has remained a statement of the Roaring Twenties as well as giving the world of fashion a lasting model of elegance. 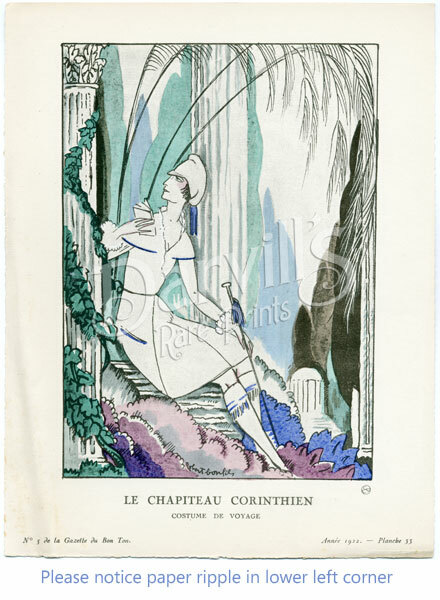 The plates were executed by some of the most prominent French artists of the early part of the century including Bakst, George Barbier, Pierre Brissaud, Brunelleschi, Georges Lepape, Andre Marty, and others. 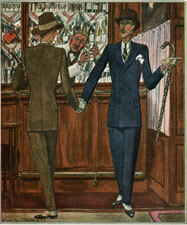 The extremely rich and vivid colors were achieved through the labor-intensive pochoir hand coloring. 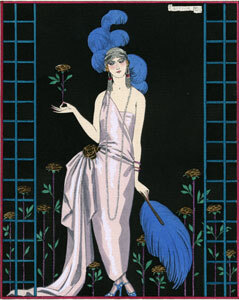 In this method, a special stencil was made for each individual color. 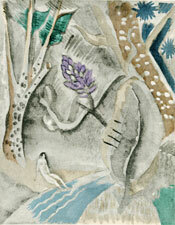 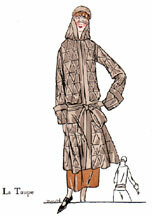 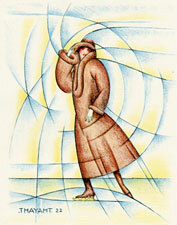 Complex pieces were printed using a large number of stencils, resulting in a beautiful and original piece of art. 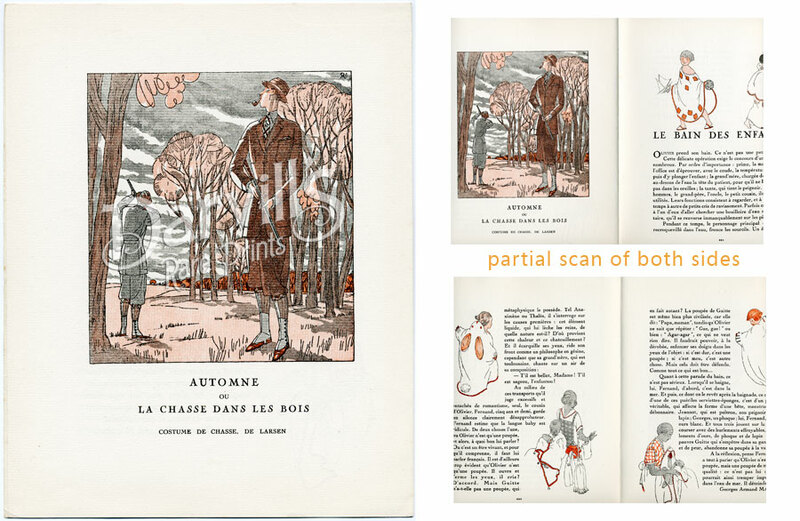 Many of the plates also have offset printing elements, usually the black coloring, so there may be some "dot pattern" on certain prints - especially the croquis. 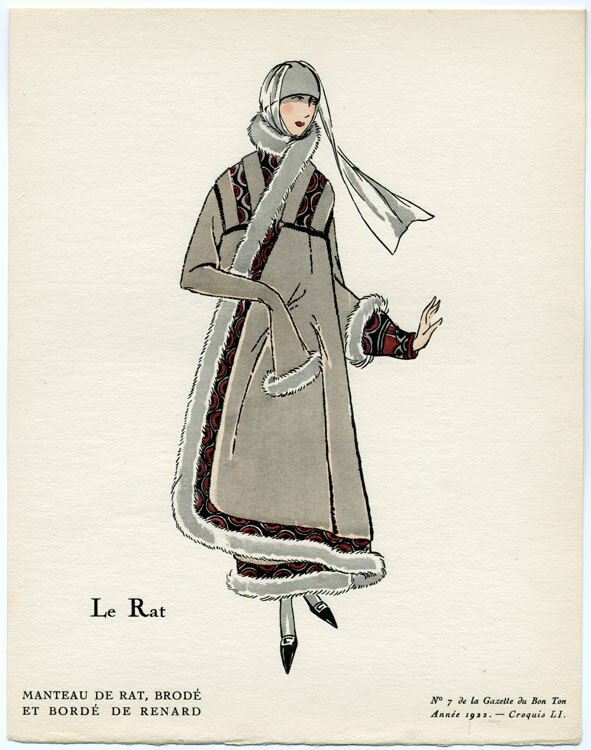 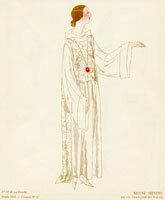 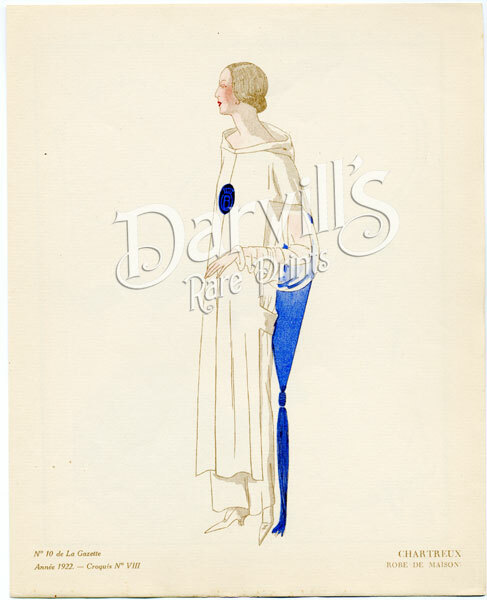 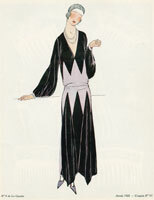 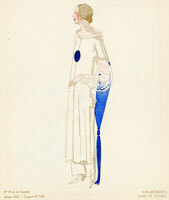 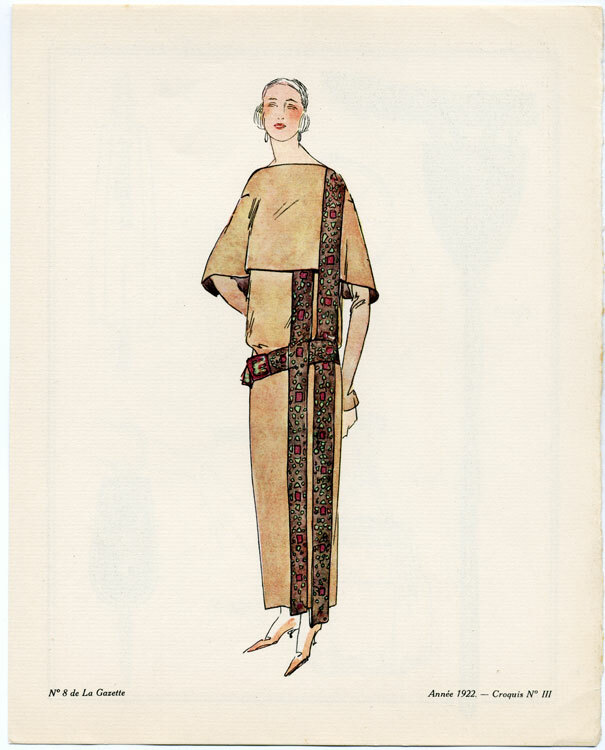 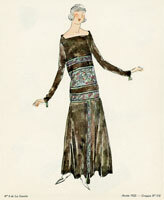 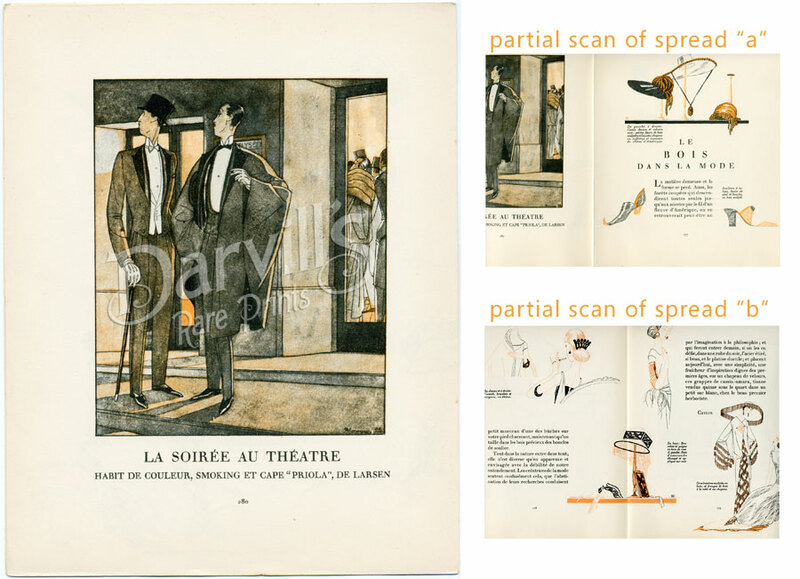 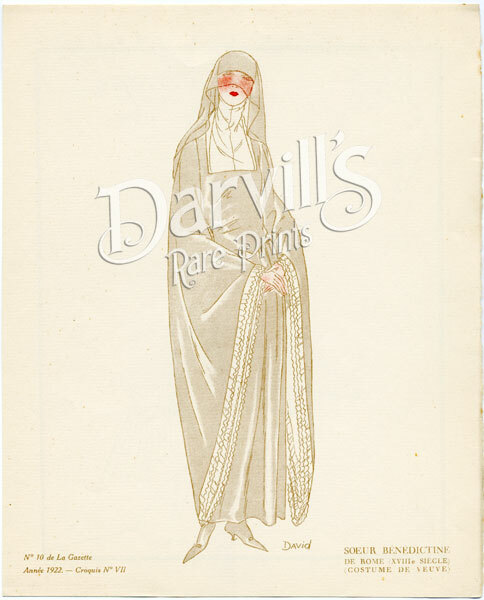 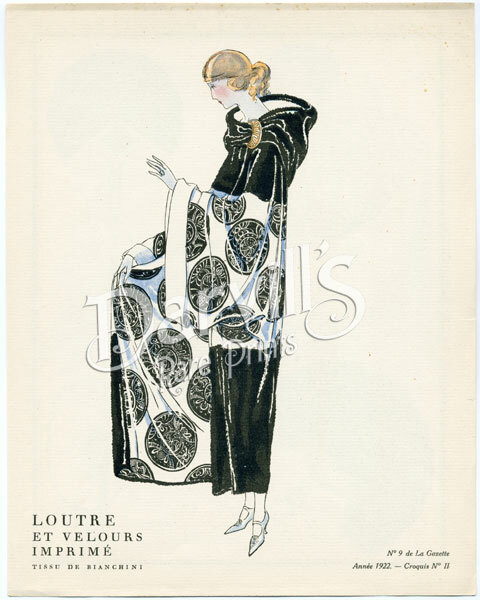 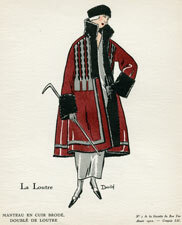 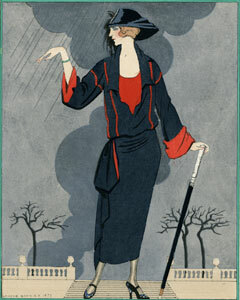 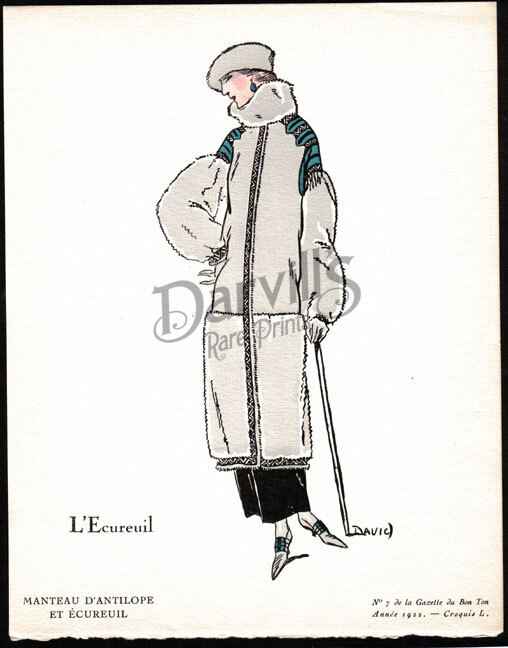 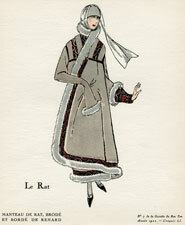 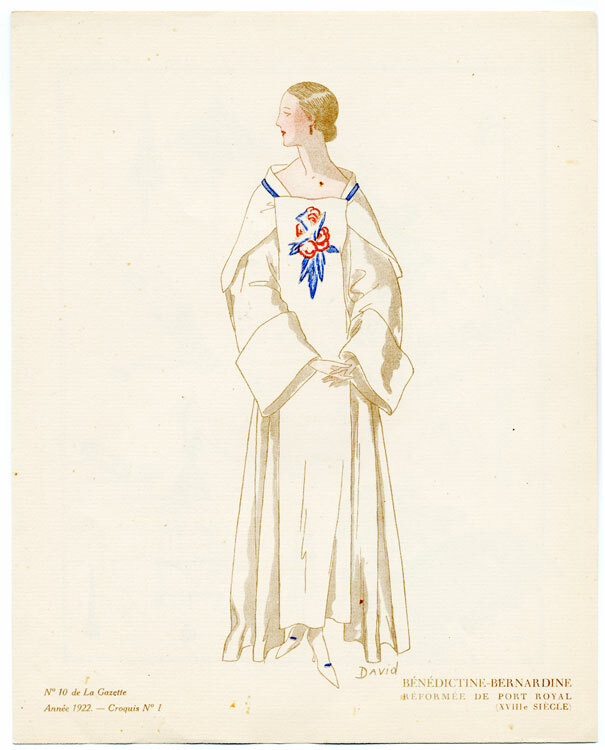 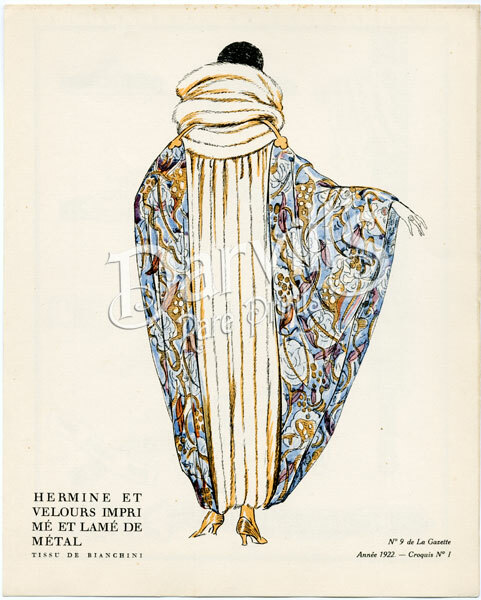 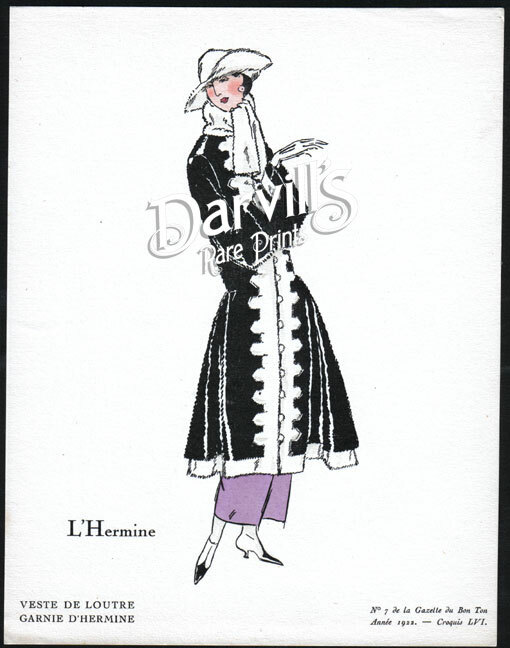 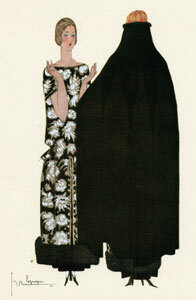 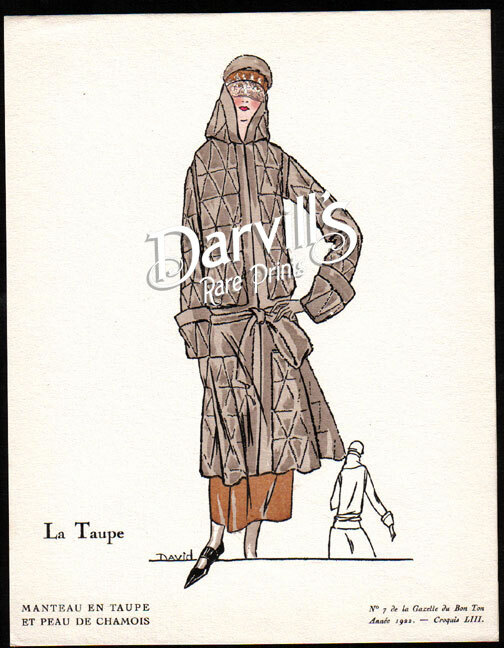 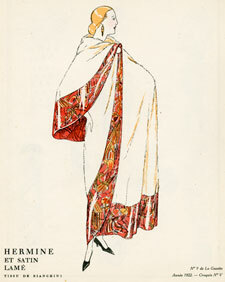 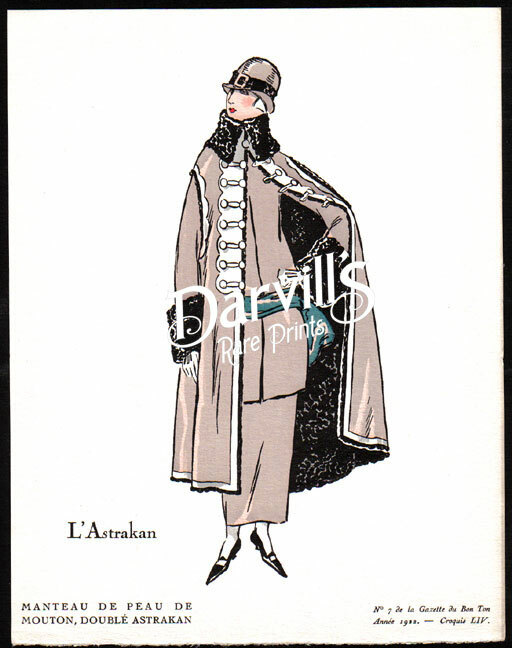 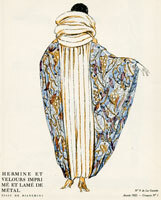 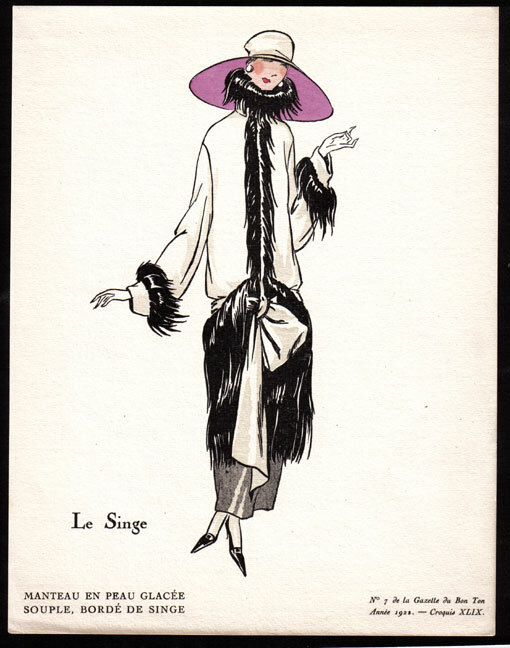 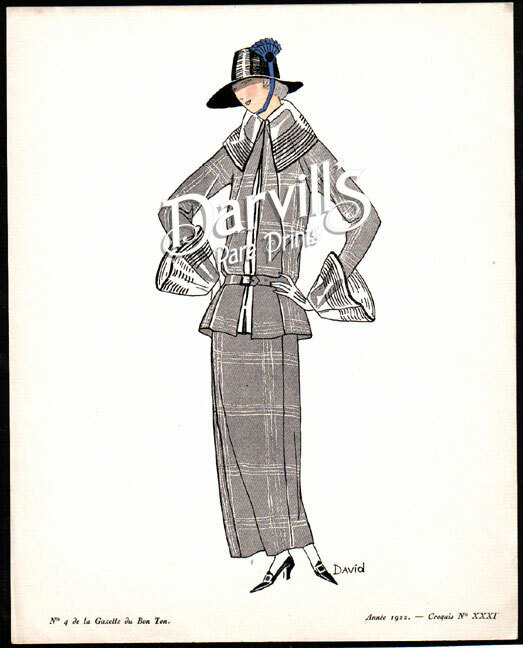 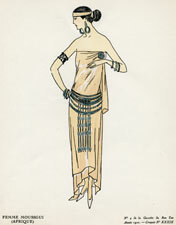 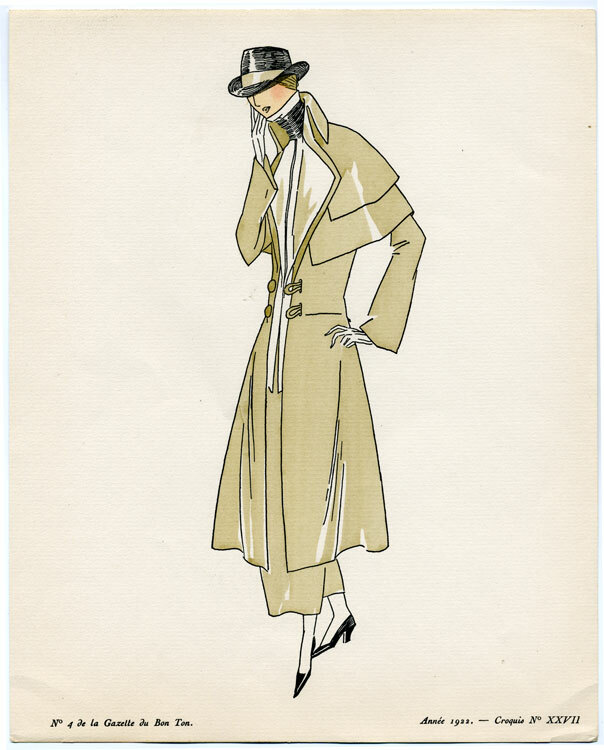 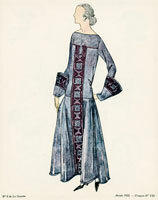 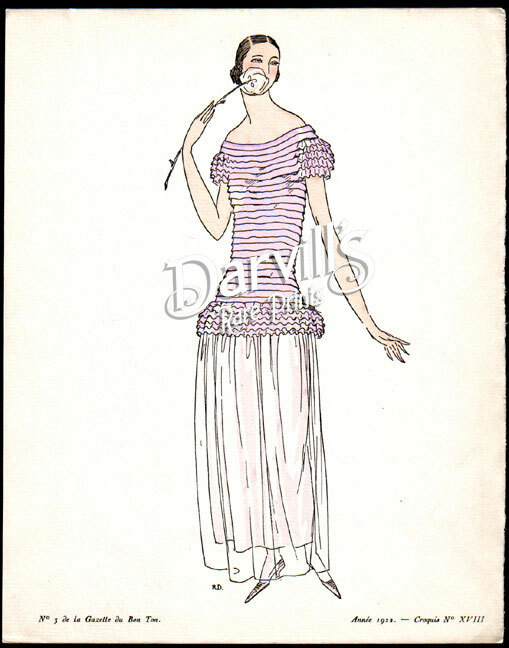 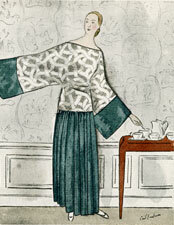 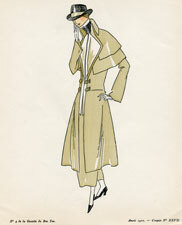 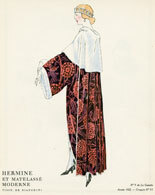 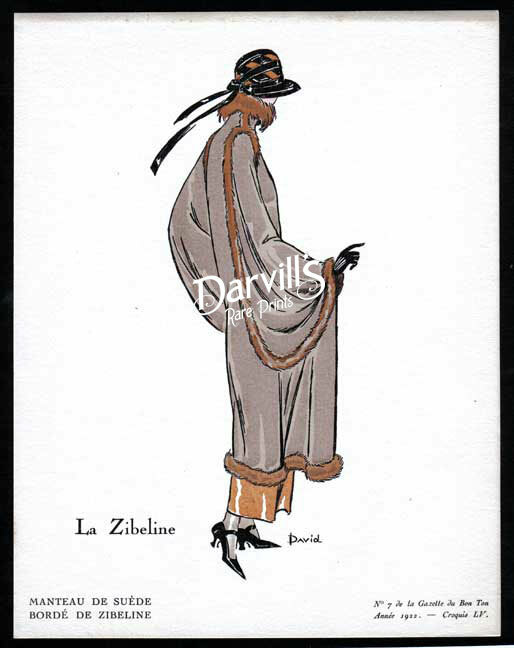 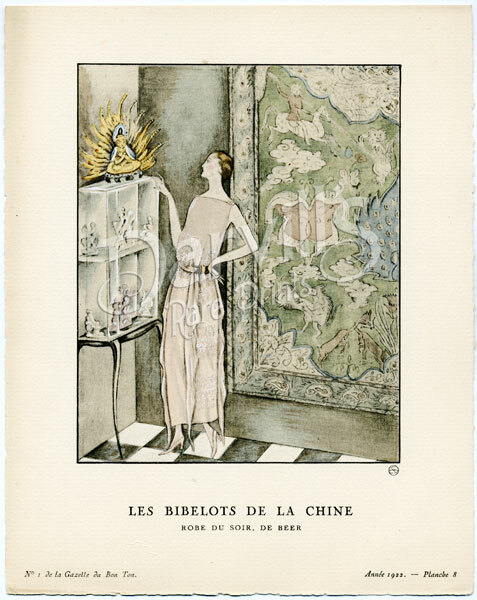 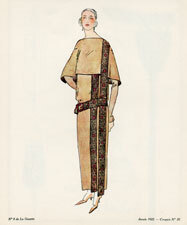 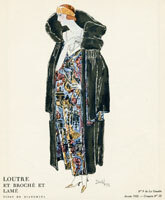 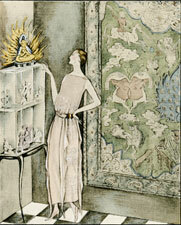 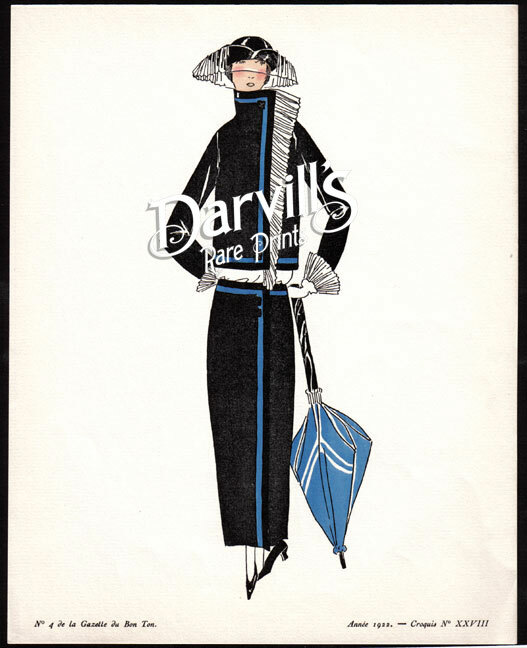 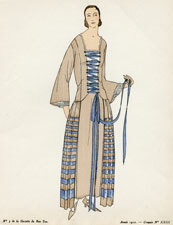 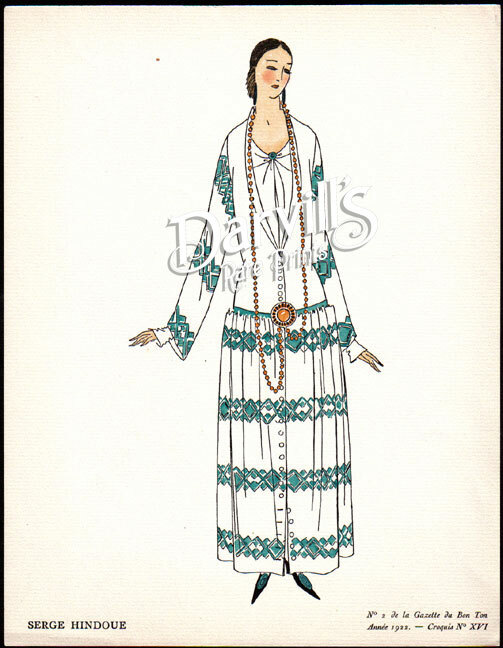 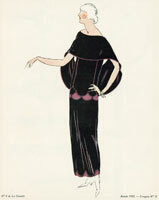 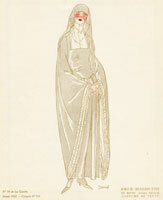 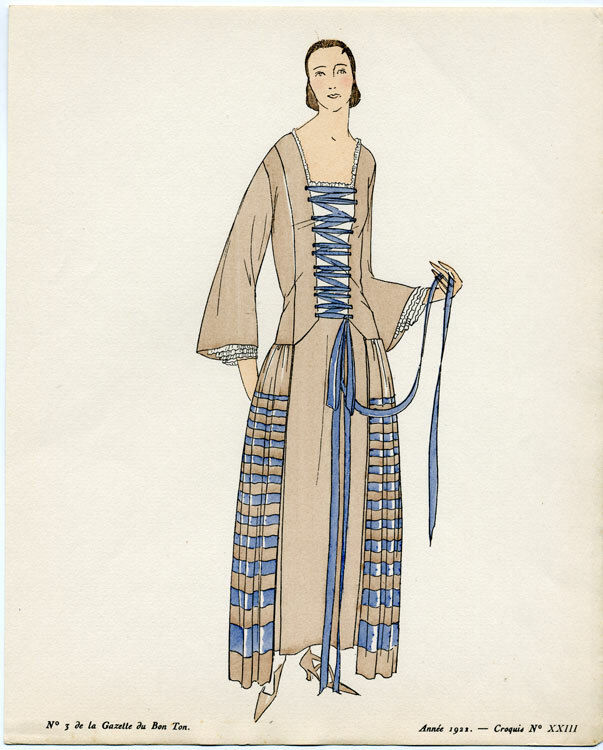 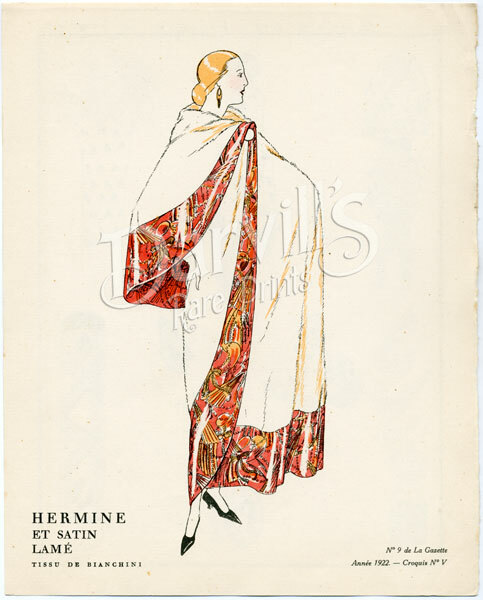 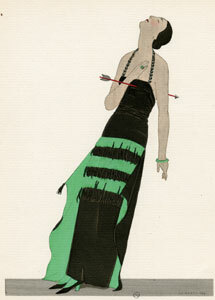 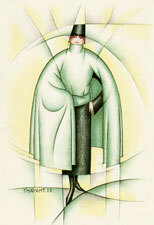 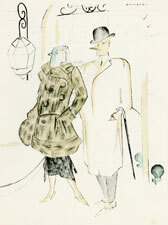 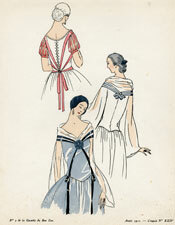 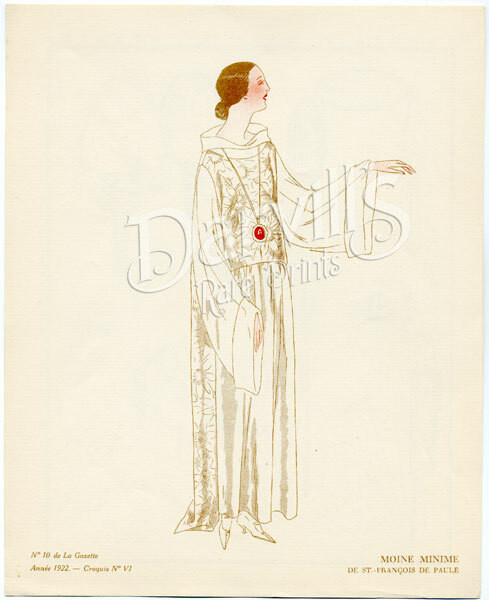 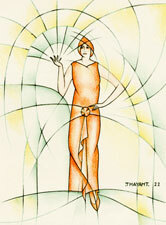 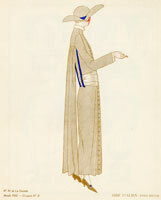 Barbier contributed drawings to the Gazette from 1912-1925, at which time the Gazette was bought out by Vogue and Barbier's contract shifted to that magazine. 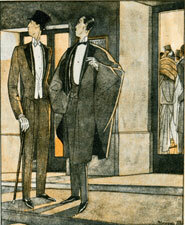 The Gazette suspended publication from 1915-1920. 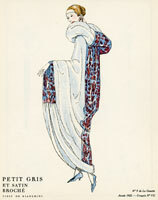 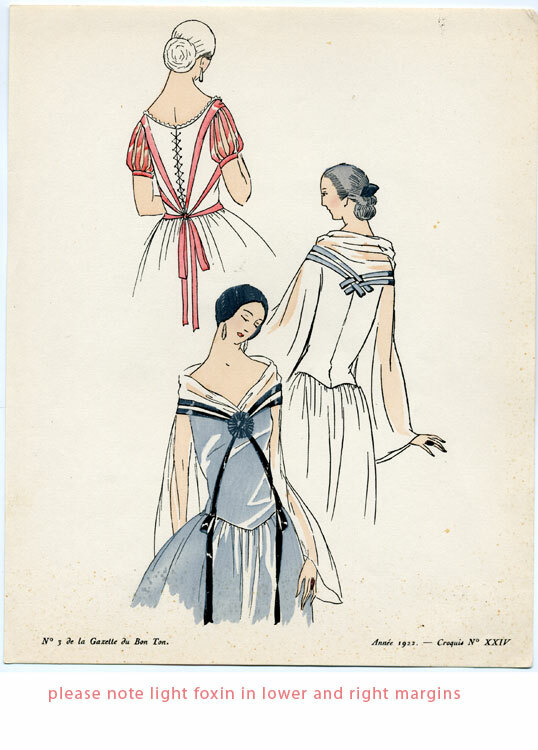 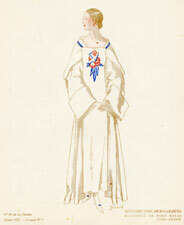 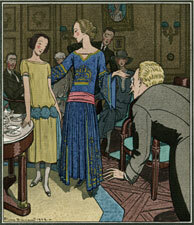 Barbier's illustrations for the Gazette were sometimes his own designs, but as often as not he drew models of gowns by Paquin, Beer, and Worth. 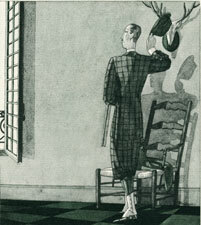 The Gazette contained urbane articles - copiously illustrated with vignettes - on theatre, travel, and other topics of interest to the leisured wealthy, but with clothing and personal adornment always the paramount subject. 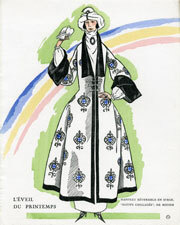 The plates were the real heart of each monthly issue. 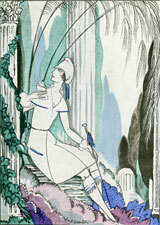 And the plates were more frequently by Barbier than any other artist. 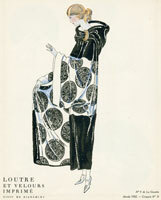 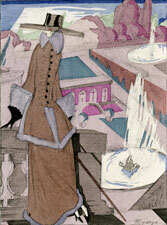 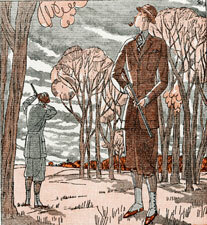 To a great extent, Barbier's style of rendering was the main style used in the Gazette. 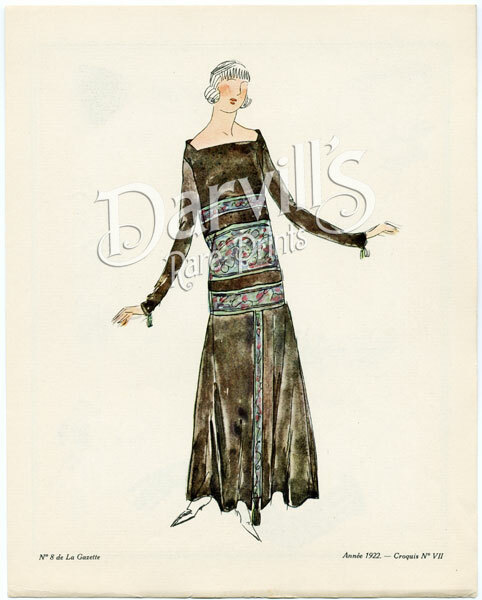 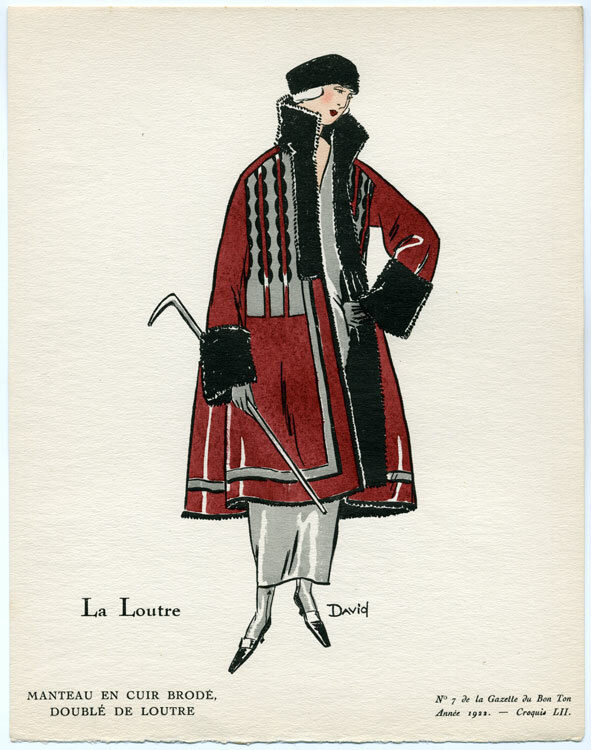 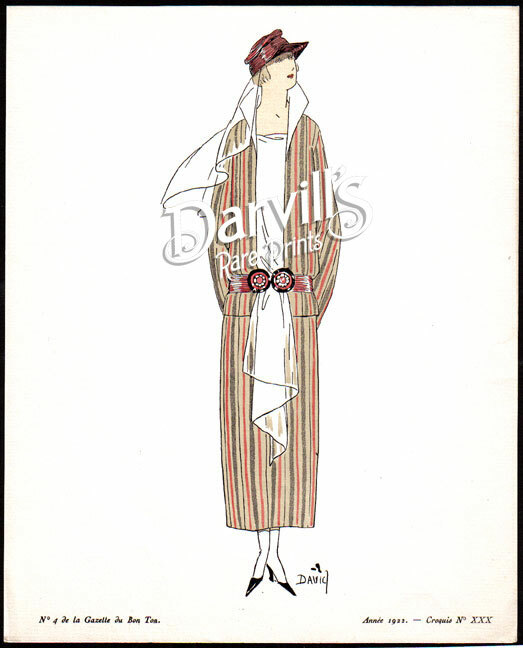 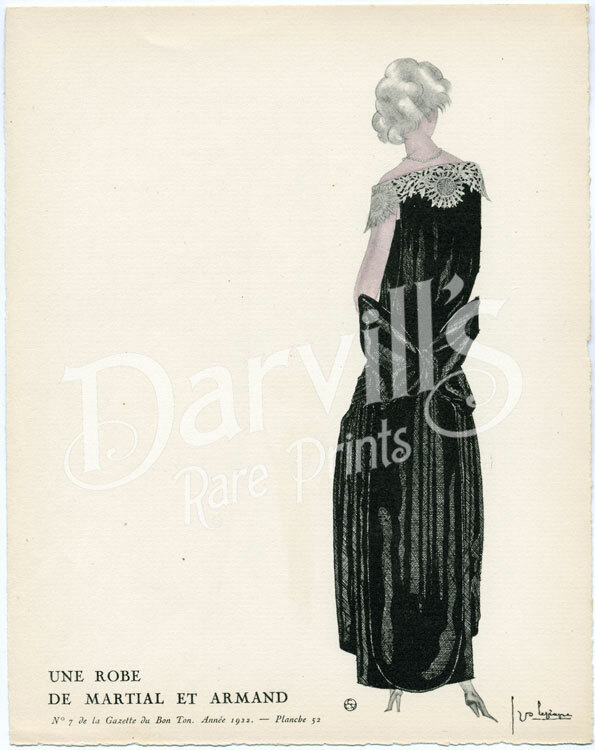 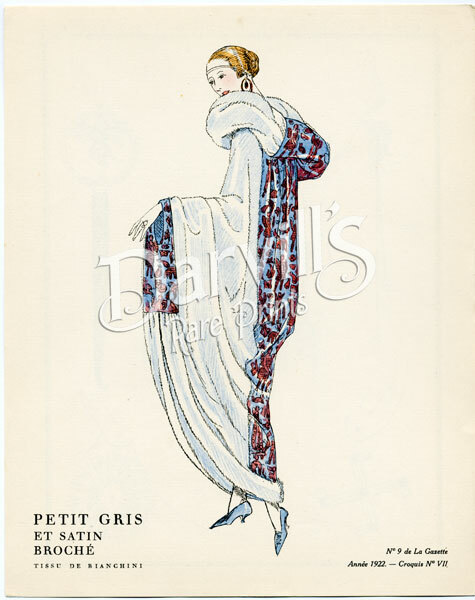 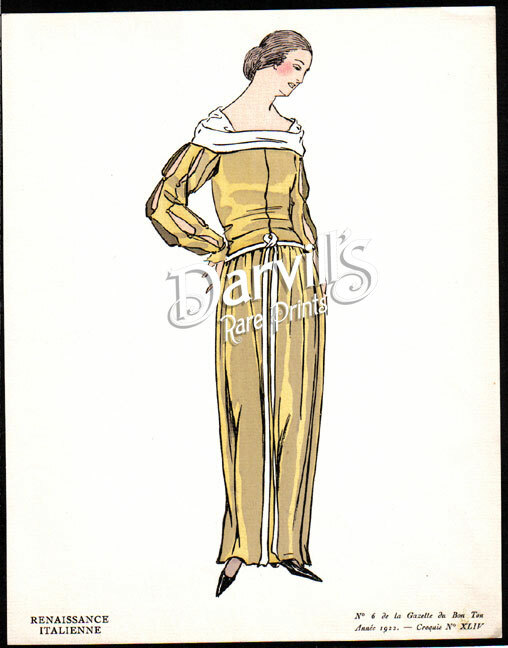 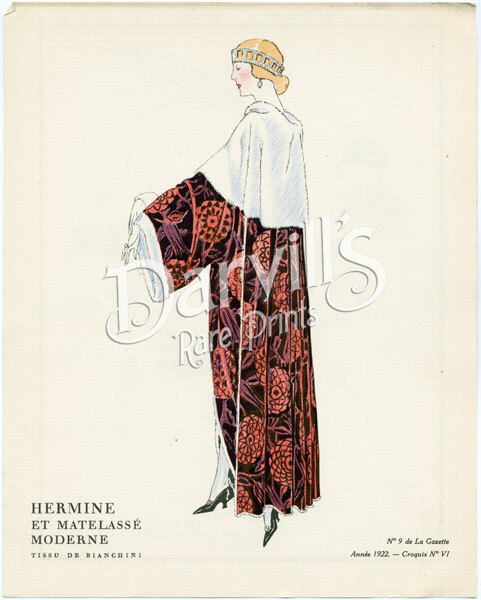 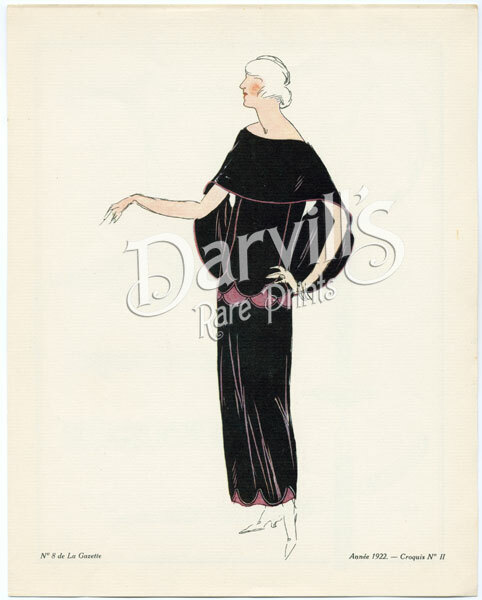 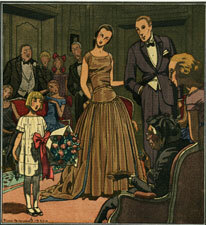 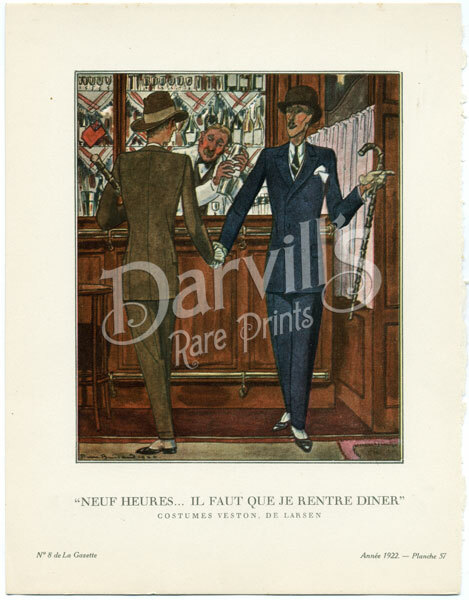 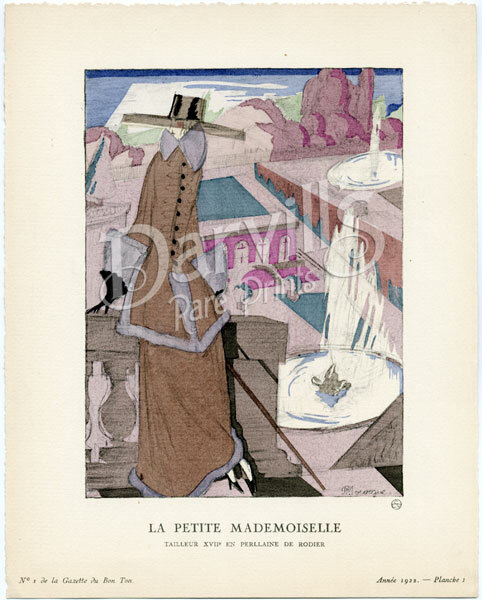 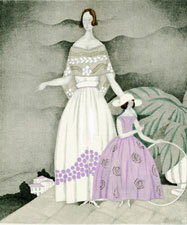 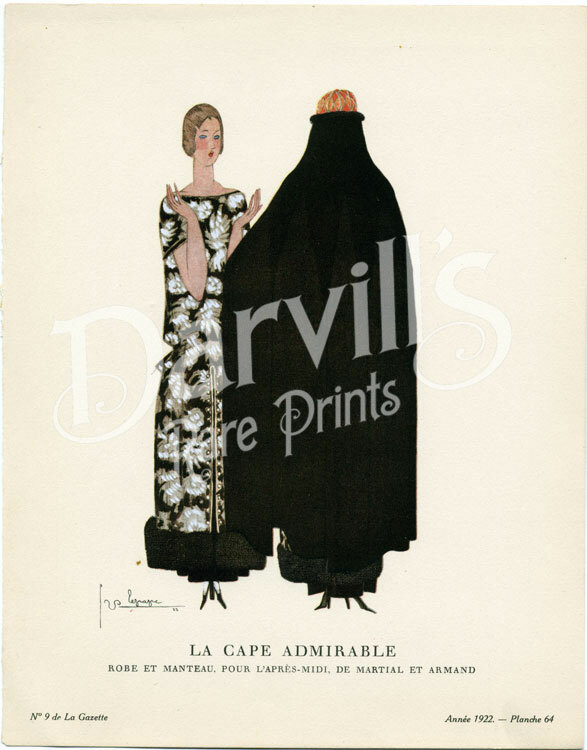 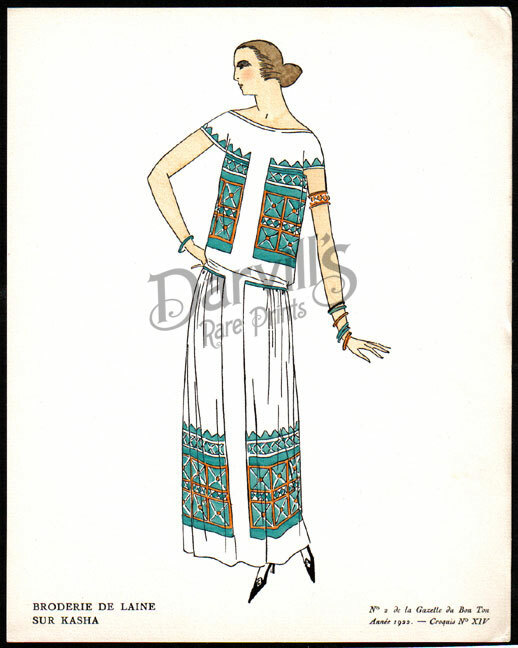 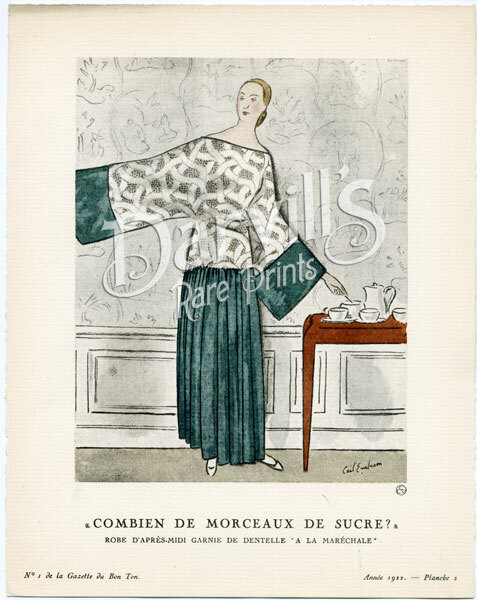 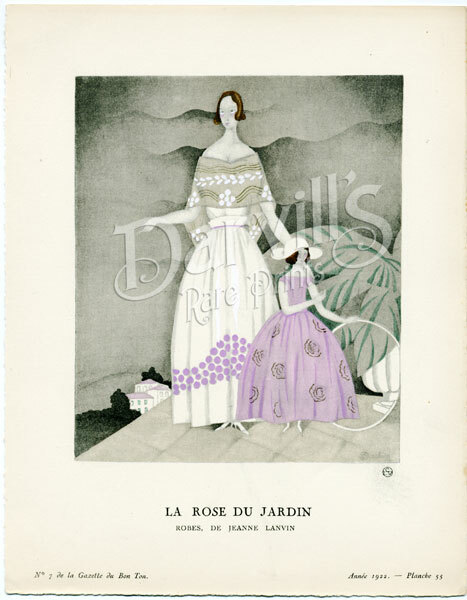 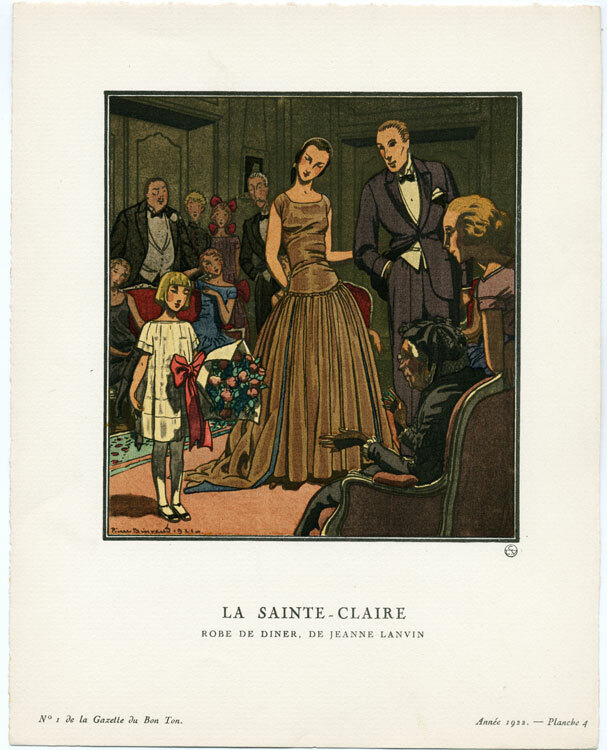 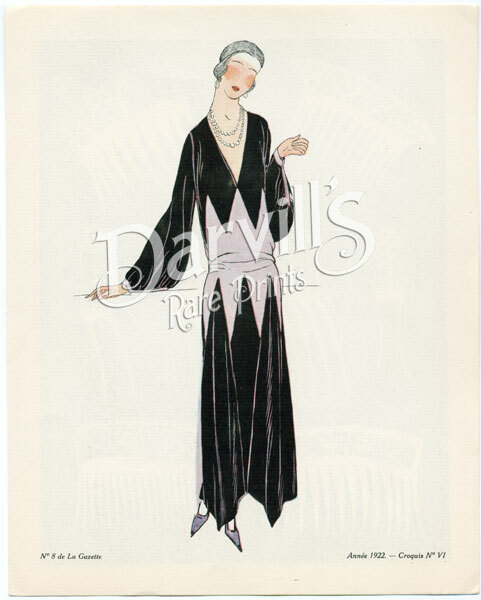 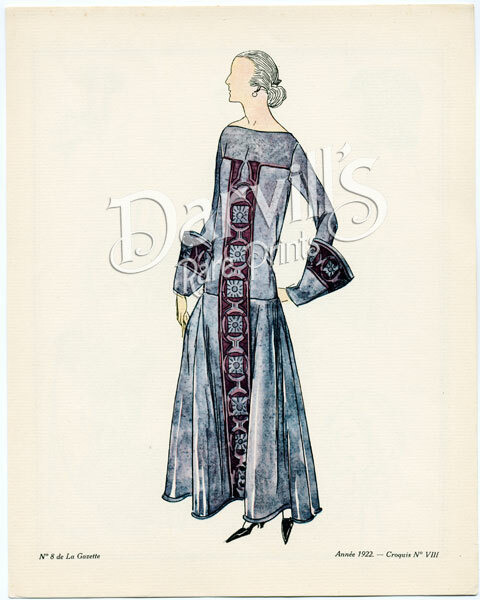 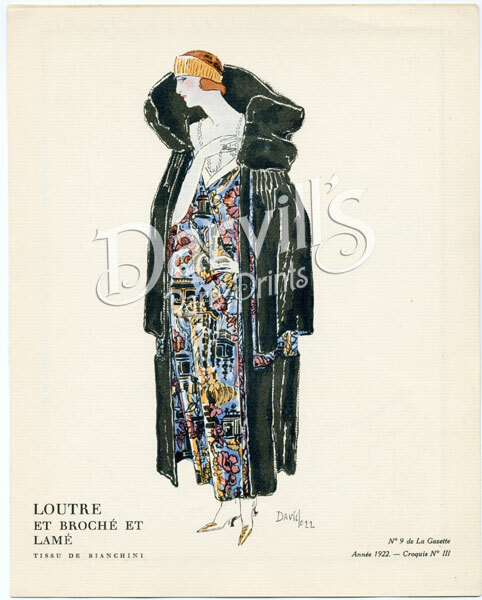 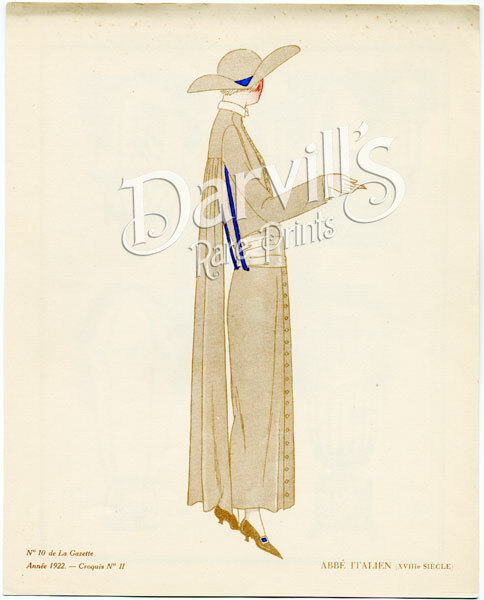 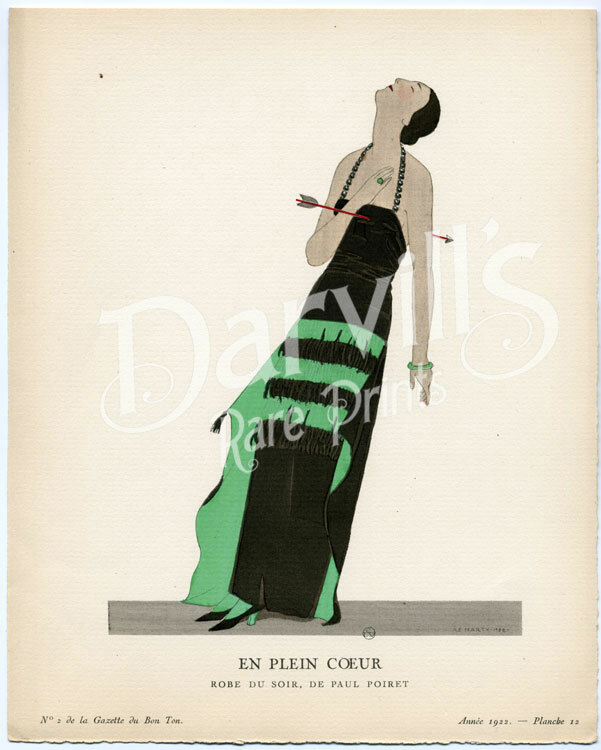 Guaranteed authentic 85+ year old Gazette du Bon Ton prints from 1922. 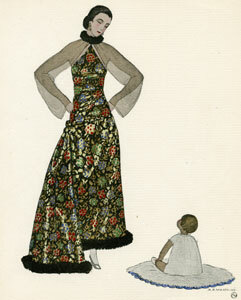 We do not sell reproductions. 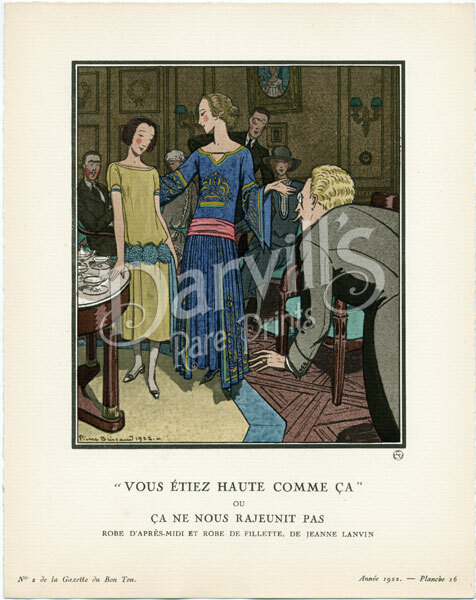 "Combien de morceaux de sucre?" 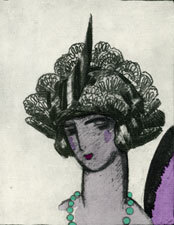 and employ chiefly offset "letterpress" printing rather than pochoir (stenciled) color.